A trio of Panthers stars have been selected in the 2018 Advertiser SANFL Team of the Year. South Adelaide ruckman has been recognised for his outstanding season by being named the captain of the SANFL's best 21. After returning from three years with the Gold Coast Suns, Brooksby has been an immense force on the field for the Panthers, leading from the front in every game this season. It marks Brooksby's second selection to the Team of the Year, after getting the nod from selectors in 2014. The 28-year-old led the Macca's League in total hit outs (620) and average hit outs (34.4) while also averaging 15 disposals and five marks, he also proved a damaging target up front as he drifted forward to boot a career-high 16 goals for the year. Joining Brooksby in the Team of the Year are evergreen Panthers stars Nick Liddle and Joel Cross. The tenacious Liddle enjoyed one of his finest seasons in Noarlunga in the twilight of his decorated career, already claiming the R.O Shearman Medal and finishing third in Magarey Medal voting this season. The slightly built, but fearless red head has been named on the ball after collecting a career-high 25.8 touches a game, while laying 5.6 tackles and winning 6.2 tackles per contest to go with 17 goals for the season. The four-time Panthers best and fairest winner now boasts a remarkable seven Team of the Year selections to his name, after also winning a jumper in 2010, 2011, 2012, 2013, 2014 and 2017. Dual Magarey Medallist, Cross enjoyed another stellar season in blue and white, as he stepped up to co-captain his side for the first time with counterpart Brooksby. A ferocious competitor, Cross won 25.1 possessions (12.8 contested) per game, while also muscling his way to 6.1 clearances and 4.1 tackles. The three-time Knuckey Cup winner also finished a narrow second in the Panthers goal kicking, slotting 21 majors for the year, just one shy of Nathan Kreuger's haul of 22. Cross now has six Team of the Year gongs under his belt after nominations in 2011, 2012, 2014, 2015 and 2017. 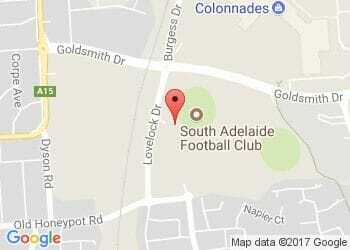 All three men are expected to poll well at South Adelaide's Knuckey Cup best and fairest evening next month. Click below to secure your seat to the Panthers night of nights. Players in The Advertiser SANFL Team of the Year were selected on their form across the entire minor round, with AFL-listed players eligible for Macca's League finals also considered eligible for selection. This year's team was selected by SANFL's Adam Kelly, Tom Hurley and Zac Milbank, Channel 7's Mark Soderstrom and The Advertiser's Chief SANFL Writer, Warren Partland. See the full selected team below.